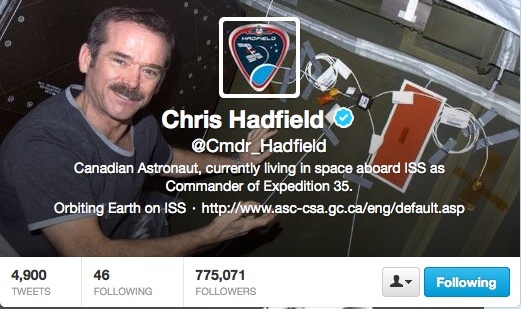 Having followed the tweets of Commander Chris Hadfield, remaining all the while in awe at the connections between social media and reality (including the intersections with learning and teaching experiences), I could only gasp at the implications of the video below that has gone viral. Amazing. The future is more than a Space Oddity!